I know. The title sounds stupid. When you live with anxiety and it’s at that moment where you’re having a panic attack it feels like there is nothing that can stop it or make you feel better. I understand that and I’m not here to make you feel inadequate or to tell you that it’s easy to eradicate anxiety with a few simple tips and tricks. These are just simple pointers that may help you if you’re not in a full blown panic attacks. Deep breathing is so obvious, right? It is and you’ve heard it a million times but sometimes when you’re stressed you can begin to pant slightly or hold your breath. Just take time to breathe in for 3 or 4 seconds and then breathe out. It doesn’t need to be insane yoga fire breaths and it can be done at any time without anybody knowing what you’re doing. Even though you know working out can make you feel better it’s impossible to do sometimes but stretching is different. 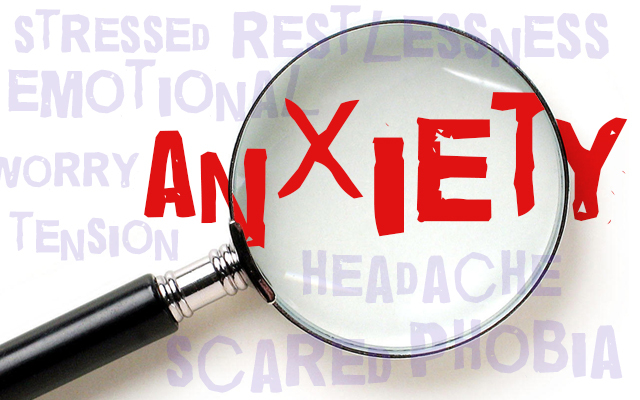 The reason it’s important to stress is because being anxious can cause you to stiffen your muscles and tense your body. Stretching can add an immediate mini sense of feeling better if you do it. If you are somebody who already knows to stay away from caffeine then just drink more water. I am not saying to plan everyday to a tee but it’s important to have a sleeping and eating schedule. This will regulate your body and balance you out. When your body is in tune to doing something healthy like eating and sleeping at the same time everyday then it will be easier to heal other illness, including mental ones. Stay away from technology before bed! That’s right! It might seem to be relaxing but if you’re going to stay on a sleeping schedule then technology is bad idea. Your brain reads the light you’re looking at as still being daytime. Surround yourself with people who love you and you can allow you to vent and talk about your feelings. You may feel like they don’t fully understand but if they’re willing to make an effort then they are a true friend and somebody who can help you feel comfortable and at ease. Anxiety affects a great number of LGBT people because they’re faced with a lot of stress and sometimes internalized homophobia. This entry was posted in Dating & Relationships by Cassidy. Bookmark the permalink.